JB Hunter specialises in in-house training for the telecommunications industry. Our industry specialists work seamlessly with clients to customise nationally accredited training that supports the needs of the workplace. We offer flexible and mixed delivery options and/or the utilisation of specific equipment and techniques so that learners can be best equipped to apply the skills they learn to their respective workplace. Whether your business is a large corporation, small business or a sole trader, we can customise our training solutions to meet your requirements. 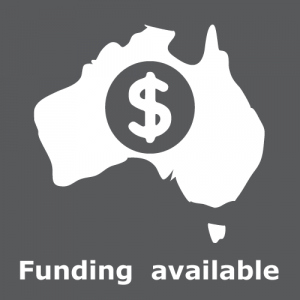 JB Hunter helps employers make the most out of available government funding. Your business may be eligible for funding though various state and territory subsidised training. Call us today to speak to a Client Manager and discuss a unique training solution for your workforce. We can come to you – if you have a suitable training venue enquire: 1800 672 933. Interested in having us come and train your staff ? Send us an in-house enquiry to get started. We can provide training at your venue, if it is suitable and safe. Would you prefer your own venue ? *Pit and pipe course requires the the digging of pits - venues must be appropriate for the activity.